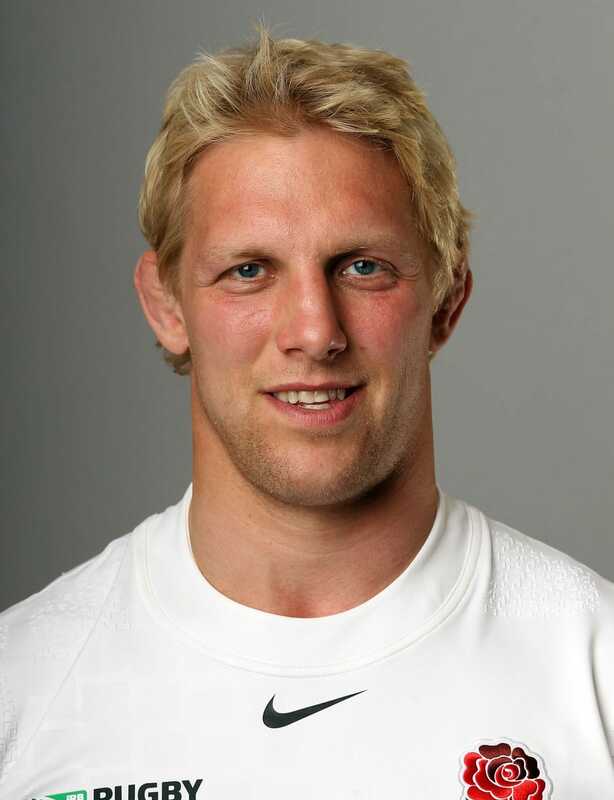 An England rugby legend, Lewis Moody MBE was a member of England’s 2003 rugby World Cup winning team. Playing in the flanker position, he made his way in the game at Leicester Tigers becoming the club’s youngest ever player when he made his debut at just 18. Establishing himself as a key member of the team, during his time at the club Lewis won seven Premiership titles , two Heineken cups and the Anglo-Welsh Cup on two occasions. After making over 200 appearances for Tigers and establishing himself as one of the club’s greatest ever players, he signed for Bath in 2010 before retiring from the game in 2012 due to injury. As well as his success at club level, Lewis also made an impact on the international stage earning 71 caps for England. At the 2003 Rugby World Cup he played in every match as England made it all the way to the final where they defeated Australia 20-17 to be crowned world champions for the first time ever. Away from the rugby pitch, Lewis has also started his own foundation. The Lewis Moody Foundation raises awareness and funds for children who are suffering from brain tumours. One of England’s greatest sporting figures, Lewis Moody MBE is instantly recognisable, making him perfect for a range of opportunities including brand work, media responsibilities and personal appearances. For booking information email Talent.Agent@championsukplc.com or call 0203 958 0389. 1996 – Makes his debut for the Leicester Tigers . 1999 – Wins the Premiership title . 2001 – Wins the first of two consecutive Heineken Cups . 2003 – Helps England to become World Cup winners for the first time. 2010 – Joins Bath Rugby after 14 years at Leicester. 2011 – Captains England to the 6 Nations title . 2012 – Retires from Rugby. 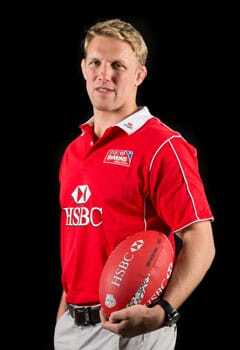 Before becoming a hero for both club and country, Lewis Moody MBE showed his love of rugby as a child, playing mini rugby from the age of five. Joining the Leicester Tigers youth academy, Lewis earned the nickname ‘mad dog’ due to his strong work ethic and dedication to winning back the ball. In 1996 he made his debut for the Tigers at the age of 18 making him the youngest player to ever make an appearance for the club. It took a while for Lewis to really establish himself in the team’s starting XI with the likes of Neil Back MBE and Martin Corry MBE also playing in his position but by 2001 he had become a regular in the flanker position. Overall, he won seven Premiership titles, two Heineken Cups and two Anglo-Welsh Cups during his 14 years with Tigers. He also made over 200 appearances for the club. Despite all his success at club level, perhaps his greatest ever achievement in the game came in 2003. Playing in every game of England’s World Cup winning campaign, Lewis was one of the players that made history as England won the Rugby World Cup for the first time. Making a total of 71 appearances for England and five for the British & Irish Lions, he showcased his abilities on both the domestic and international stage. Representing England at the highest level, he also won two 6 Nations captaining the side to victory in the competition in 2011. As his career progressed, he began picking up more and more injuries and in 2010 he joined Bath Rugby. In 2012 he retired from the game after a persistent knee injury. As well as his career in rugby Lewis has also contributed to a number of good causes including HOPEHIV , Rainbows Hospice for Children and Young People and Our Lady’s Children Hospital . He has also set up his own charity, The Lewis Moody Foundation , which raises funds and awareness for children suffering with brain tumours. As a world-renowned sportsman, Lewis Moody MBE has been involved with several brand endorsements over the years. Having a significant number of followers on social media, every brand he works with is sure to gain greater exposure. In the past, Lewis has worked with the likes of Land Rover , Bremont , Viper 10 Sportswear and Esportif . Lewis has also opened his own rugby academy, called Mad Dog Sport , to bring through the next generation of players. His charitable exploits give him the credibility and integrity required to be the face of all kinds of brand campaigns.